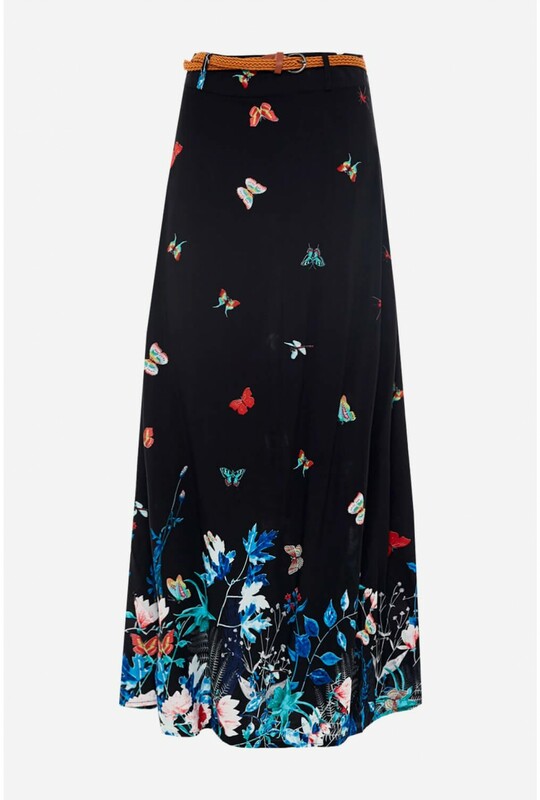 This maxi skirt is the perfect piece for summer holidays. Featuring a removable belt waist and butterfly design. Team with a cami top and slider sandals.